Blog (short of “weblog”) started as a personal account of individuals or group of individuals who wanted to share their opinions and experiences with a larger set of people. The trend started in the early 2000s with political blogs and then came the “how to manuals” mainly based on technology. These days blogs are popular in all possible domains. Some people write to show their expertise or to share their experiences, and some to voice their opinions. But the most common blogs being written today are for commercial purpose like for your business- to educate your customers, to solve their problems or to answer their doubts. A business blog is where you provide information about your products/ services and insights about your industry which your readers might find useful and helpful and it may solve their questions or doubts and that in turn will support your business growth by lead generation and relationship building. Blogging has proved to be one of the effective ways of building brand awareness and digital presence through sharing relevant and useful content regularly. Blogging can be a crucial part of your digital marketing strategies as it’s still cheaper than many marketing and advertising options. It is an inexpensive way to communicate and engage with your customers. It will not only drive traffic to your website but assist you in your inbound marketing efforts and attract more prospects. Small businesses who may not have the required skill or time for that matter to regularly create fresh content, could take professional help. Blogs give you the platform to provide for everything pertaining to your products or services. You can interact with your users, answer frequently asked questions and elaborate on your services in a way which is not possible on a web page. Every time you write a blog you add another page to your website that can be indexed by search engines. You get another chance to show up in the search engine rankings for those keywords and drive traffic in organic search. All search engines, be it Google, Bing or Yahoo love fresh content and reward sites that do so with better visibility. 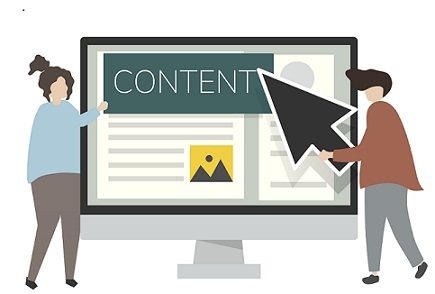 Posting new content and regularly updating your blog sends an idea to the search engines that your website is active and they should be checking it frequently. Blogs give you a platform to share your insights and knowledge of the industry with a larger set of people. The more and more topics you cover in your blogs the more you are answering all those questions your customers or prospects may have. In the long run, you can establish yourself as an expert on the subject matter by consistently creating and sharing content that is helpful and useful for your target audiences. The authority comes with the trust and belief of the audiences that keep you on the top of their head whenever they decide to buy. If a prospect finds answers to all his questions in your blog post he is much likely to come back to you for the purchase. Once you have created and uploaded a blog it’s there for everybody to see for forever. You will start getting views on that blog and some may become prospective leads. But the rally does not stop here. The blog will start ranking in search engines and you will keep getting traffic and leads from that blog post for many days and sometimes months and years to come. With blogging, you may not witness immediate results but over time you can bank on a decent amount of traffic and leads from that blog without further investment. As per Hubspot, 70% of the traffic they generate every month comes from old posts and it’s the same for the leads, 90% of the leads come from blogs they published in previous months and sometimes years ago. So with a little patience and a lot of relevant content, you can reap the benefits of your blogs for years. For a small business, it’s natural to think that they should rather invest their money in operations and management than marketing and promotions. But ultimately building brand awareness and significance is also important for every business in the long run. Blogging creates that significance and image for your business and brand in the minds of your customers. By providing your target audiences the relevant and useful content to read that answers all their questions and doubts you are creating value for them. They will come back to you again and again for they trust you. This belief creates a long term relationship with your existing customers and even with the prospective ones. Blogs also create a repository of content for your social media shares. To actively post on social media and keep yourself relevant you need fresh, unique and high-quality content. By sharing your blogs on social media you are giving fresh content to your followers as well as driving new website visitors to your blogs on your business website. You can also take advantage of your blogs to create content for your email newsletters and send them to your readers. This way you are giving them fresh and useful content to read and building your long term presence in their minds for future sales opportunities. Blogging creates a wonderful space for the blogger and the users to connect. Users can leave comments below your blogs and you get first-hand feedback on your content and your business. It also leaves an impression on the users that you are open to feedback, appreciation and even criticism. And from a business point of view, you get an opportunity to learn more about your prospects, what's in their mind and also understand their future needs. These two-way dialogues give you insights to modify your marketing efforts based on your learnings from those valuable feedbacks. Helps you get inbound links for your SEO. Inbound links are like recommendations and Google perceive it that way. The more websites link back to you the more it establishes you as an authority in your industry. Without having an active blog you will not be able to collect such links and hence hinder your SEO efforts. So writing useful and fresh content on your website gets you noticed by other bloggers and media and if they find your information relevant they will link back to your in their articles. Such links not only get you high search engine rankings but also generate useful referral traffic for your website and improve your chances of generating a lead. The benefits of having a blog don't end here, by sharing your thoughts with your audiences you grow your customers' trust, website traffic and finally sales. We have seen how it is an effective way to market and advertise your business and generate potential customers. The perks are numerous and in comparison investment are tiny. With minimal budget and effort, you can build a credible image and foster a trustworthy relationship with your customers and prospects. If you are a small business and even if you don’t have the budget to spend on online advertisement, having blogs on your website is an opportunity you should definitely not miss out. In case you can’t spare time from your busy schedule to work on your blogs, we are a Digital marketing agency that can manage your blogs and also your SEO, Social media profiles, website design and much more. Contact us or send us an email at contact@chaskis.digital to start designing your content marketing strategy with blogs and more.